After years of continuous upswing, dark clouds are looming on the horizon—at the same time, EXPO REAL is greatly in demand with exhibitors. As well as many international companies, numerous technology providers are presenting. 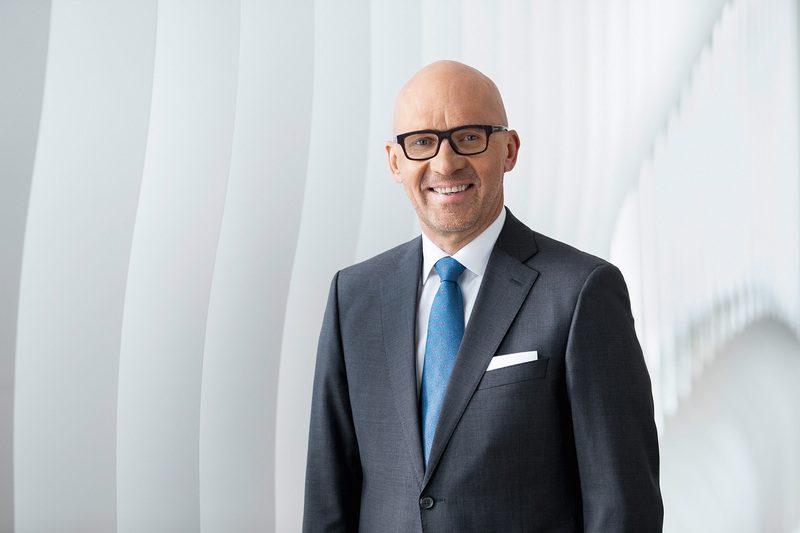 Three questions for Klaus Dittrich, Chairman & CEO of Messe München, about the highlights of the fair. 1. For the real estate sector, dark clouds are looming on the horizon despite a sustained strong economy. Is this having an effect on EXPO REAL too? After years of continuous upswing, the question is getting more urgent as to how long the boom can still continue. Increasing uncertainties in world politics, the trade dispute with the USA, a high level of international debt after a decade of cheap money—all this is threatening to impact negatively on the economy. But despite the clouds on the horizon, the property industry is still doing well—which is reflected in the participation at EXPO REAL. We are registering great demand from exhibitors on a level with the record year 2017, particularly with a clear increase too in international interest. The importance of EXPO REAL for the sector is also shown by the fact that seven of the 25 biggest asset managers worldwide are taking part here as exhibitors. We’re also pleased to have attracted many cities and regions from all over Europe, including newcomers like Murcia from Spain and returnees like the city of Prague and Serbia. 2. 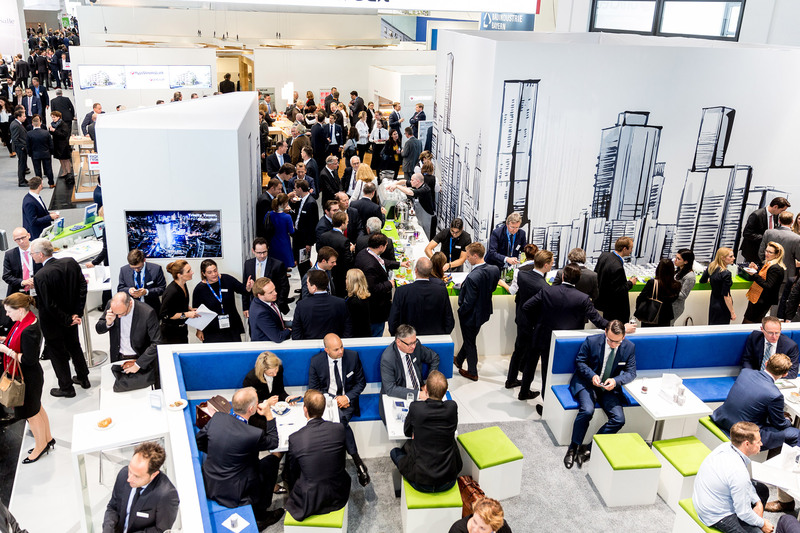 The Real Estate Innovation Forum (REIN) is going into its second round. How is this developing? The premiere of the Real Estate Innovation Forum in 2017 went down extremely well with start-ups and established companies alike. We have therefore enlarged the Forum this year so that even more proptech companies can present themselves, actually a further thirty of them in addition to the 25 top start-ups which were determined in a contest. We’re especially pleased that two further well-known tech companies—21st Real Estate and Brickblock—are appearing independently and separate from the Real Estate Innovation Forum but close by it. 3. What top speakers are taking part in the conference program this year? One highlight for me is Chris Boos, CEO and founder of Arago, a pioneer in artificial intelligence. At the Real Estate Innovation Forum, he will be speaking about how AI can give people space for creativity and thus for innovation. Digital buildings are the subject of Coen van Oostrom, CEO Edge Technologies / OEV Real Estate. As for building policy, it’s certainly going to be a controversial topic—among those we are expecting on the podium is Horst Seehofer, Federal Minister of the Interior, Building and Community. And interesting too will be the basic market assessment by Dr. Marcel Fratzscher, government economics advisor and head of the German Institute for Economic Research (DIW).